Every once in a while, you find a group that sounds less like a band and more like a few good friends getting together to have a good time. 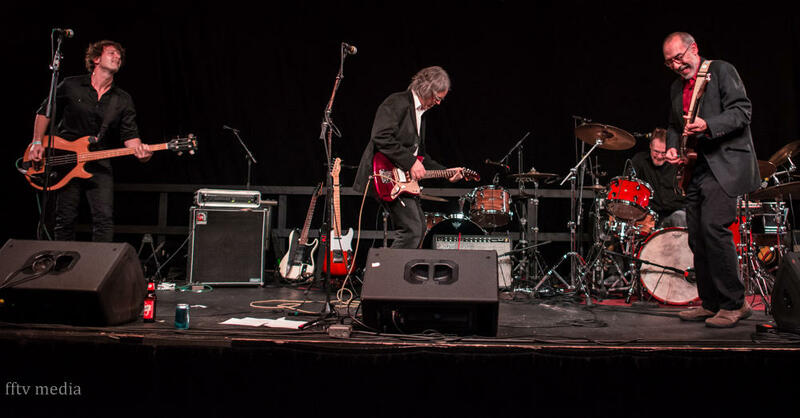 Such is the case with Mike Fair (guitar), Dave Killen (drums), Dave Purcell (guitar, vocals) and Sean Rhiney (bass) who collectively call themselves Pike 27. The band's name is an obvious reference to Alexandria Pike - Northern KY's Route 27 - that winds through Cold Spring and Ft. Thomas...and finally exhausts itself somewhere outside Paris, KY. However, Pike 27's true roots can be found about 500 miles south of there in Athens, GA -- 583 miles to be precise, if you detour through Nashville, as this band has certainly done. The R.E.M. influence is palpable in all five tracks of their new EP, Calling Out - an obvious nod to "Radio Free Europe." Both the jangling open-string chord structure of the music and the self-effacing, deconstructivist imagery of Purcell's poetry bring to mind classic R.E.M. titles like Fables of the Reconstruction and Life's Rich Pageant. But Pike 27 avoids becoming a "wannabe R.E.M. band" by deftly incorporating styles reminiscent of Alejandro Escovedo with rhythms that are soulful and yet dipped in honky-tonk. At times, Calling Out also reminded me of Rob Fetter's album from last year, Saint Ain't. One example of this musical melting-pot is in the opening track, "Playing For Keeps." There is some marvelous wordplay in this song accompanied by a gritty, twangy barroom vibe made all the more powerful by the inclusion of guest musician Mike Tekulve on keyboards. Similarly, the song "Paying Down the Cost" reconnected me with another Georgia band from the 80's, Guadalcanal Diary, a group that, in my mind, never got the recognition they deserved. The bittersweet "Come to California" should be included in any thinking-person's playlist of great road-songs. The verses ride a wave of sparse guitar and piano into a completely infectious chorus that will find it's way into your brain and make a home in your memory. For me, the pinnacle of Calling Out can be found in the second track, "Underneath the Trestle." In this story about Purcell hearing R.E.M. for the first time, Pike 27 manages to bottle not only the sound, but the very essence of what it was like to discover something that captures you and resonates in you. Like a tuning fork, the first time I heard "Underneath the Trestle," I felt a connection to it as if the vibrations of the universe itself were unfolding in my ears. Keep an eye out for Pike 27 in the next few months as they will be playing live in support of Calling Out. Their schedule includes shows with such great local acts as New Sincerity Works, Wilder (featuring Kelly Thomas) and The Newbees. 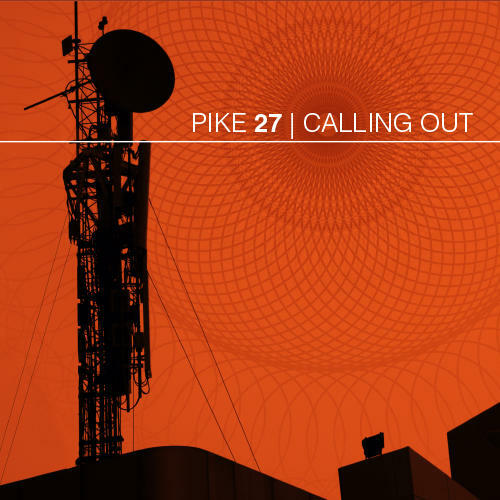 Pike 27's Calling Out is available for download from Bandcamp, or you can pick up a copy at Shake It Records, Park + Vine, Everybody’s Records, and Rock Paper Scissors. 44 is a very difficult number to deal with. I know because I'm there. If you're Mike Tittel, the creative force behind the band New Sincerity Works, you sit down and write a painfully honest album that feels like a musical version of therapy and you call it 44. Cincinnati's favorite bearded, bohemian brethren, Buffalo Killers are back and are producing cool rocking music at a speed that would made Bob Pollard blush. 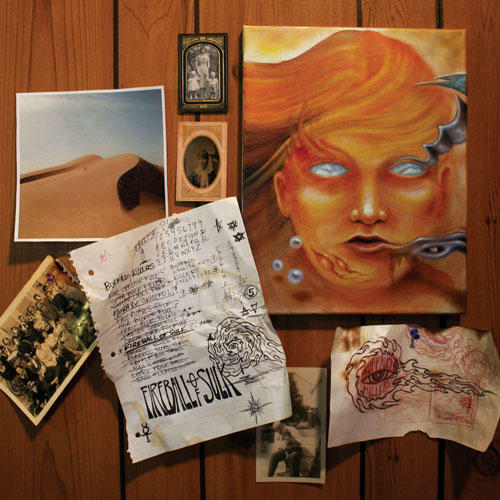 Their newest release from Sun Pedal Recordings is called Fireball of Sulk and is a 6-track bookend-like follow-up to their album Heavy Reverie which just came out this past Spring.